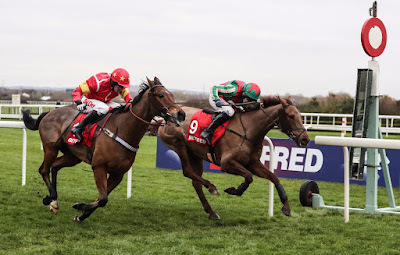 With the Cheltenham Festival over for another year, all the attention now in National Hunt racing turns to the Grand National meeting, with the feature race being the world’s most famous steeplechase and the only contest to take place over the distance of 4m4f. Here is a look at three horses you should consider for the 2017 running of the Grand National. Vieux Lion Rouge arguably has the best form over the bigger fences than any of his 39 rivals for the race this year. 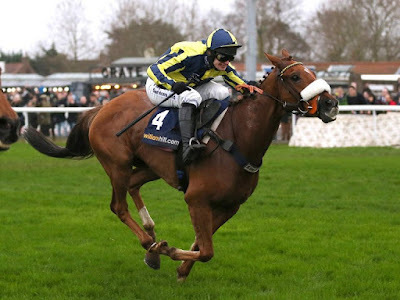 He made his debut over the Grand National fences in the 2016 contest, where despite going off as a 66/1 outsider in the betting, he was up with the pace for a large part of the trip before weakening in the closing stages to finish a respectable sixth place. That experience was clearly put into good use during the Becher Handicap Chase last December as he came out on top that day by a short-head following a battle with Highland Lodge at Aintree. David Pipe’s runner is now up to a career-high official mark on the back of success in the Grand National Trial at Haydock, where he was able to prevail by over three lengths ahead of Blacklion in the 3m4f contest. The eight-year-old will be ridden by Tom Scudamore, who is one of the leading national jockeys in the sport today. It is trained by Pipe, who is bidding for his second Grand National success after Comply or Die in 2008. He also has the guidance of his father Martin, who won the race in 1994 with Minnehoma. As you can see on Oddchecker, Vieux Lion Rouge is a top price of 10/1 to win the race next month and that looks generous at this stage as he is clearly the one they all have to beat. The Last Samuri is also having his second shot at the Grand National this year, as in 2016 he finished second behind Rule The World. Kim Bailey’s runner clearly handled the test of the race well but just found one horse better than him on the day. As you would expect, the nine-year-old will need to carry more on his back this time around as he has gone up the ratings since his run in 2016. His form this season has been nothing special; however, he will have been trained to peak for Aintree again. His best run was actually over the Grand National fences in the Becher Chase, where he was only a length behind Vieux Lion Rouge at the finish. Some horses, no matter how good they are, just don’t take to the Grand National course. That can’t be said about The Last Samuri. If you back the chaser, you know you will get a good run for your money at the very least. At 16/1 in the betting for this year’s race, he looks a cracking each-way bet to get into the frame once again. The Grand National is the one race each year where you should not be afraid to back an outsider. Mon Mome won at odds of 100/1 in 2009, while in each of the last four runnings, the winner’s starting price has been 25/1 or bigger. The horse which stands out at the larger prices in the latest betting is Raz De Maree, who is 50/1.